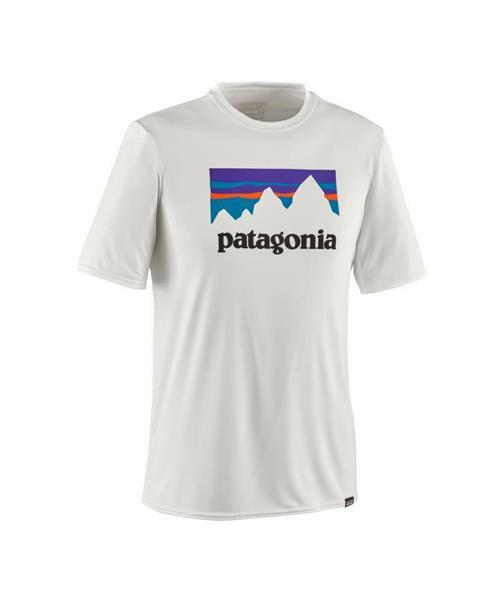 Patagonia makes this Capilene® Daily tee because every day should feel like the start of a long getaway. Made from Capilene® Daily, this is the stretchiest baselayer for everyday wear, designed to provide stay-cool, nonbunching comfort. Patagonia calls this baselayer category “Daily,” but uncommon qualities like Fair Trade Certified™ sewing and 50+ UPF sun protection make their Capilene® Daily styles something out of the ordinary. The fabric has the wicking-performance backbone of Capilene® polyester, but in a stretchier, regular fit most suited to everyday pursuits, work or play. Polygiene® permanent odor control means less washing and longer wearing. Features include a smooth 100% recycled polyester jersey face for next-to-skin comfort, full underarm gussets for unhindered shoulder mobility and a self-fabric neck that feels soft against skin.